A new update to the Windows Insider app on Windows 10 Mobile allows users to opt out of pre-production builds rather easily—probably preparing testers of older devices for their release of Windows 10 Mobile. Previously, opting out of the Windows 10 Insider program required a reset, as Windows Central notes. Now, version 1.3.233.2 of the Windows Insider app lets users choose to run a less advanced, but more stable, production build on their phone. When the chosen build catches up with the software already on the device, the phone will be pushed back onto the production track. To opt out, simply click the three-dot (ellipsis) menu on the bottom of the screen of the Insider app, and select Leave program. As Windows Central notes, a glitch in the way that the Insider program interacts with the firmware updater for the Lumia 950 and Lumia 950XL may be preventing Insiders with those phones from obtaining the most recent version of their firmware, which reportedly minimizes background processes and cools down the phone. Opting out of the Insider program may allow users to obtain the update, then return to the program. The story behind the story: This probably sets the stage for the release of Windows 10 Mobile on older devices, which are now due in early 2016 after an earlier delay. Microsoft has already released a stable, “production” version of Windows 10 Mobile with the Lumia 950 and Lumia 950XL; however, many older Windows 10 Mobile compatible devices are still running Windows Phone 8.1, unless they’ve opted in to Insider builds. 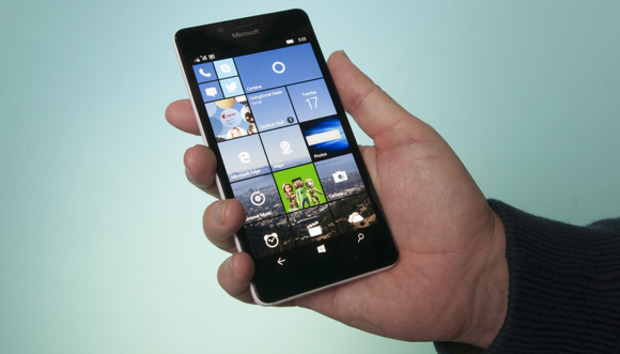 Some users may be doing so to take advantage of the latest features and software, but may not want to continue once the Windows 10 Mobile release software is available for their phones.